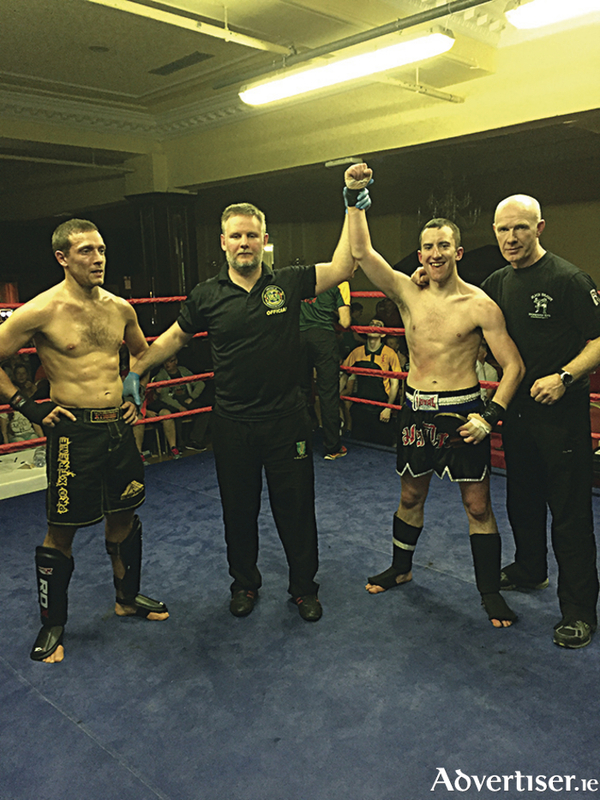 Black Dragon kick boxer Adam Keane from Tuam has an expected Five Nations title fight in Cardiff next month. Keane has been offered the fight after he stunned the current All Ireland Welterweight K-1 champ Gherado Frusci from Carlow on Saturday night in a non title bout, and now takes on the Welsh champion for the IKF 5 Nations K-1 crown in Cardiff on June 4. Keane took on Frusci in a fight streamed live, and midway through the first round caught Frusci with a left hook around the temple, sending the K-1 champ to the canvas for an eight count. Although Frusci got up and bravely fought on, the Galway fighter then caught him on the jaw with a right hook towards the end of the round, and the referee stopped the fight. Now due to the safety ruling in the IKF, Frusci is medically suspended for 45 days, and the IKF has offered Keane the fight. Currently the Irish Kickboxing champion at -69.5 kilos, Keane will drop to 67 kilos and switch rule styles to K-1 for the event.